63mm 4-Part Thor by Rad has High quallity curved blades will precision cut your herbs and spices and neatly collect them in the mesh tray beneath. 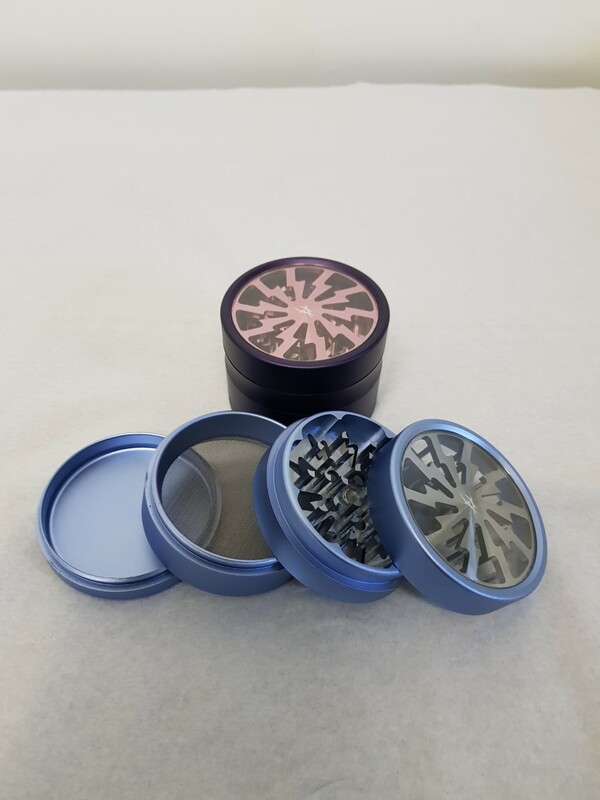 This is an extremely well made high precision 4 part crystal catcher grinder wich would compliment any smokers collection. some grinders are a real grind but this one is pure pleasure! Drawstring pouch and scraper Included.